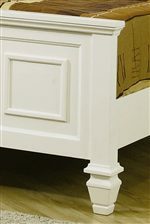 This classic nightstand will be the perfect addition to your master bedroom.  A clean shape defines this piece, with simple molding and square tapered feet. Three spacious drawer will help you hide clutter at your bedside, while allowing you to keep essentials close by. A pull out tray offers you additional surface area for snacks and beverages, making this a highly functional dresser. Add a lamp and clock to complete the look and show off your personal style. 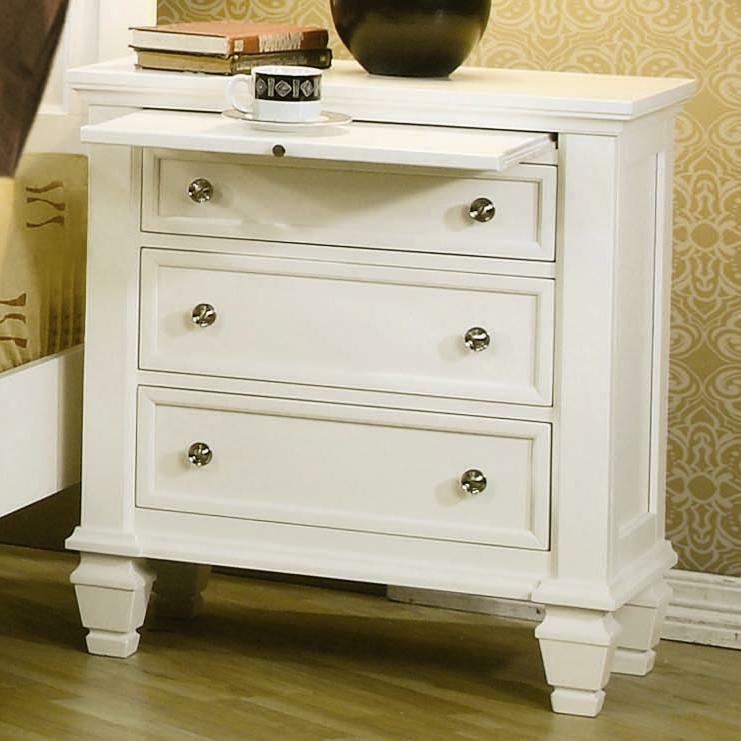 Available in White and Black finishes, this nightstand is sure to complement your bedroom decor. 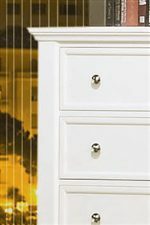 The Sandy Beach Night Stand with 3 Drawers by Coaster at A1 Furniture & Mattress in the Madison, WI area. Product availability may vary. Contact us for the most current availability on this product. The Sandy Beach collection is a great option if you are looking for Transitional furniture in the Madison, WI area. 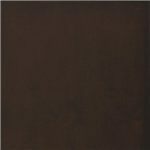 Browse other items in the Sandy Beach collection from A1 Furniture & Mattress in the Madison, WI area.